For those who operate SMEs it’s easy to put our focus almost exclusively on our bottom line and to take our staff for granted, especially when first starting out. Entrepreneurs, after all, have a great deal of weight from a number of different sources on their shoulders. In today’s unpredictable economy most of us feel like it’s all we can do to keep our head above water and we find our approach becomes increasingly reactive, leaving it difficult to focus on a holistic approach to management. While your instinct to keep an eye on the purse strings is understandable, even commendable, team building for your employees is one of the most important investments you can make. If your eye is on the bottom line, you’d be amazed at the boost this investment can provide it. Moreover, they’re a great opportunity for employees to have fun and enjoy a break from their routine. Employee happiness is an invaluable commodity that’s palpable to anyone who walks into your work space. Happy, motivated employees create a wonderful working environment that your customers and clients will sense, thereby building their trust and faith in you and your enterprise. Sure, you can but that doesn’t necessarily mean you should. As an entrepreneur, you should be wary of micromanaging and team building is most certainly a field best left to an outsourced provider. Not only will they come to you with a raft of team building ideas, they’ll have the skills and knowledge base to implement them effectively. You got where you are by having a belief in your abilities, which is incredibly admirable, but any leader worth their salt knows where to delegate. Your employees will recognize this too. Outsourcing your team building to a dedicated team of professionals will show them that you value them and are prepared to invest in their well being and development. As capable as you may be, it can harm your professional image in the eyes of your employees if you try to be all things to all people. It can be detrimental to your own productivity, too! What kind of activities should be on offer? Most companies will tailor a program to the needs of your team and your enterprise. Many employers make the mistake of assuming that a company picnic or an employee night out are valid team building exercises, but there’s far more to team building than having a good time together. 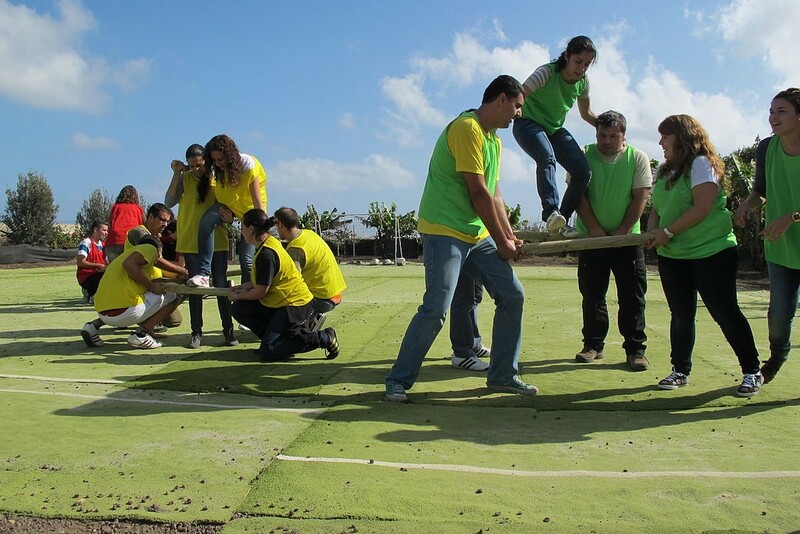 Team building activities should be engaging, kinesthetic and provide your team with the opportunity to solve complex problems together by pooling their skills and experience. They should provide a combination of physical activity and mental concentration as well as an emphasis on group dynamics. The activities should feel more like a game than work, while encouraging the cognitive and emotional faculties that they will need to excel in their day-to-day work. Whatever the specific activities, your team should leave feeling inspired and full of belief in themselves and each other.